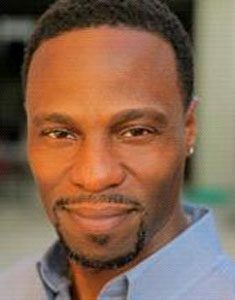 Erich McMillan-McCall is founder/CEO of Project1VOICE (P1V) Incorporated. From as early as kindergarten creative expression has always been an integral part of his life. He grew up in Birmingham, Alabama and graduate from Birmingham-Southern College. He began his New York City career in editorial fashion working at Conde Nast Publications’ Glamour, Gourmet, GQ, Mademoiselle, Self, Vanity Fair, and Vogue magazines. 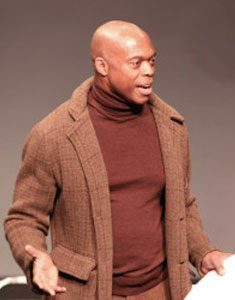 After leaving his position as assistant to Andre Leon Talley, then-Vogue magazine’s Creative Director, he performed on Broadway in Chicago and The Who's Tommy and toured nationally performing in Chicago, Dirty Dancin’, Dreamgirls, Jelly's Last Jam, Joseph and the Amazing Technicolor Dreamcoat, Ragtime, Sunset Boulevard among others. Since 2009, he has lead the not-for-profit service organization, P1V. Armed with nothing but a dream and tenacity, he formed the organization immediately after the devastating economic downturn. Under his leadership P1V has beaten the odds and sustained itself. It has grown to include over 40 organization in its worldwide network including the John F. Kennedy Center for the Performing Arts in Washington, DC and the Center for Civil and Human Rights in Atlanta. P1V is committed to presenting programs and initiatives that promote and support the American theater. It has played a vital role in making theater accessible to communities, connecting with a widely diverse spectrum of artists, teens, and families through its robust educational initiatives and public programs which have prompted cross-cultural conversations for diverse audiences. To date, P1V has presented staged readings of Trouble in Mind, The Amen Corner, A Soldier’s Play, Four Little Girls: Birmingham 1963, For Colored Girls Who Have Considered Suicide When the Rainbow is Enuf, Home, and The Colored Museum, respectively. The founding members of P1V are Gwen Gilliam, Erich McMillan-McCall, Marcia Pendelton, and Charles Randolph-Wright. Through its innovative programming P1V connects and reconnects communities, artists and arts patrons proving that when theater is executed at its best, it successfully defines how and why we should care about each other and the world we live in. What began as a grassroots organization for survival for black theater companies has now developed into an international initiative with an unwavering commitment to keeping all aspects of the American theater strong, vital, alive and most importantly funded. 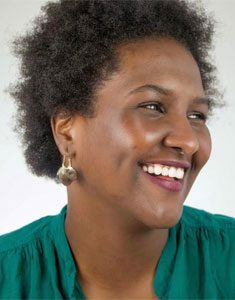 Born in Nairobi to Kenyan and Ethiopian parents, who raised her in Swaziland and South Africa, Shariffa considers herself 'Afropolitan' - a citizen of the continent of Africa. In New York, for 2 years running she was a producer on The 24 Hour Plays: Nationals, three days of workshops for actors, writers, directors and producers 25 and under. For the Alchemical Theater Laboratory she directed, choreographed and co-produced STILL, and interned at the Public Theater, where she is now a teaching artist and administrator in the new Public Works department. 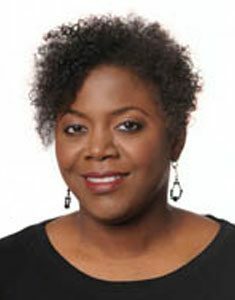 Recently she was Assistant Director to Cynthia Nixon for Rasheeda Speaking, starring Tonya Pinkins and Dianne Wiest.